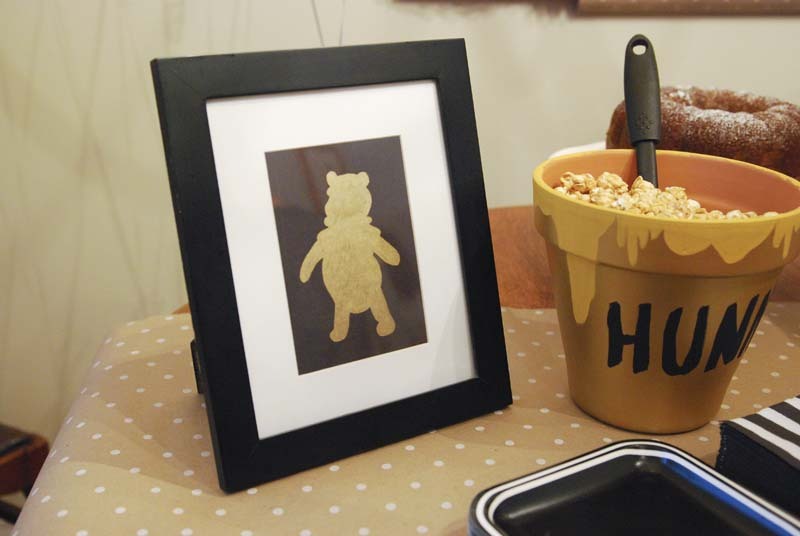 A Winnie the Pooh Party! 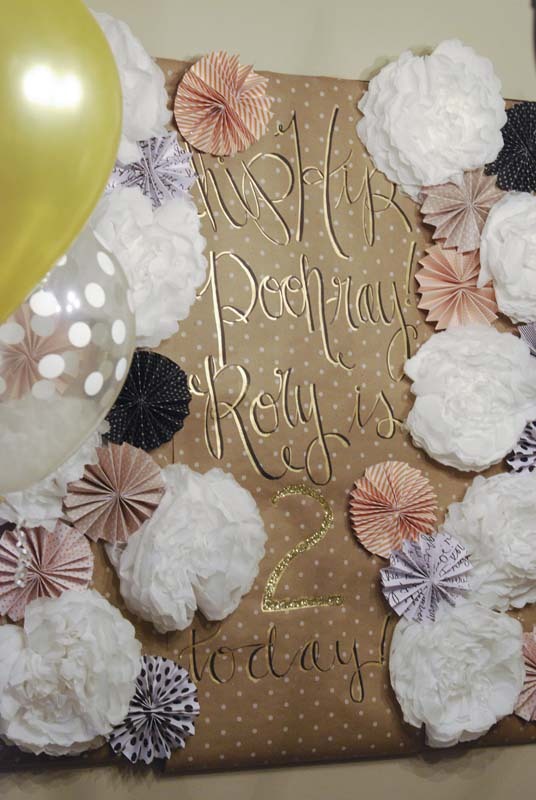 - Jill Ruth & Co.
Our granddaughter turned 2 this month...already?! 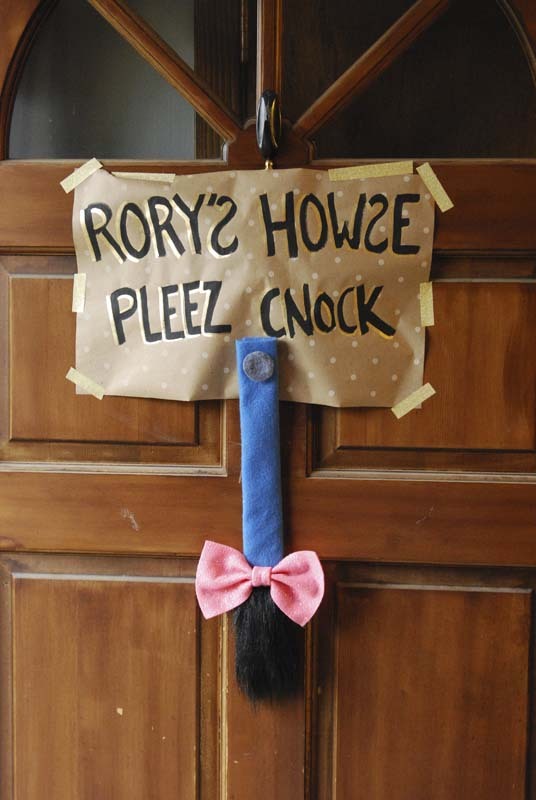 Since she currently loves Winnie the Pooh, my daughter made a few decorations with that theme. 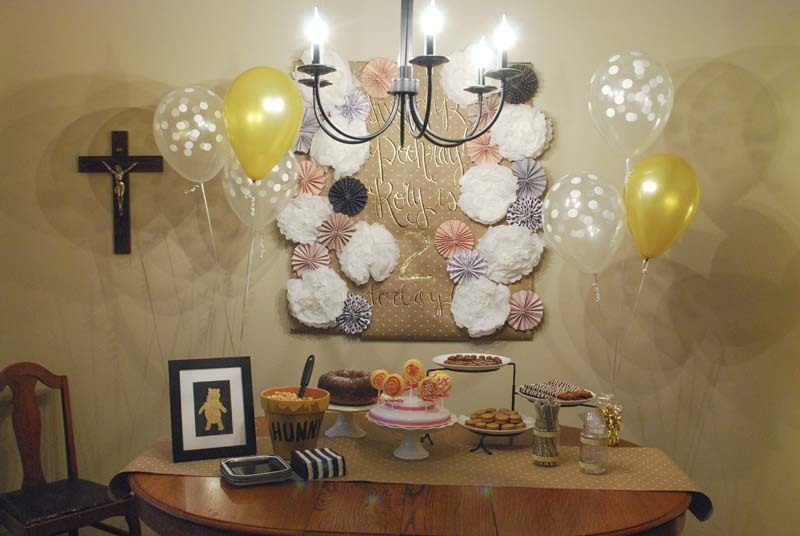 For the backdrop of the table, she covered the current picture frames she has hanging on the wall with craft paper and then decorated it. 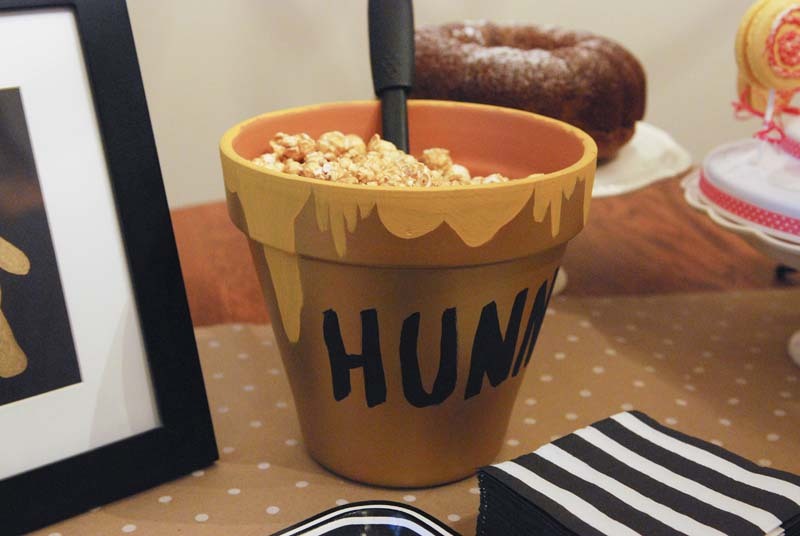 I thought the terra cotta pot turned 'hunny' pot filled with caramel corn was so cute! She painted this cute little "Pooh" and put in in an existing frame she had, just over the picture. Now, I know what all the hoopla is about for macaroons! I'd never tasted one before. But, my daughter's good friend has a good friend...who is a chef of sorts and she made some awesome treats for the party! 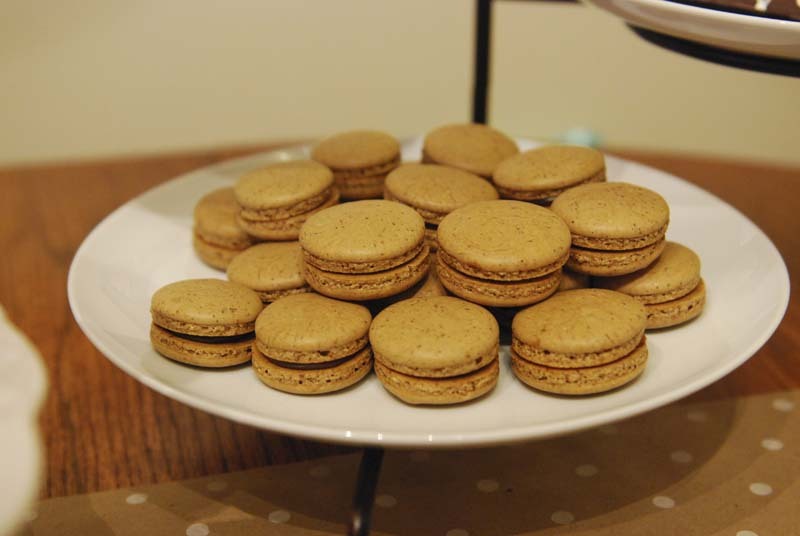 These espresso macaroons....yowza, delicious! 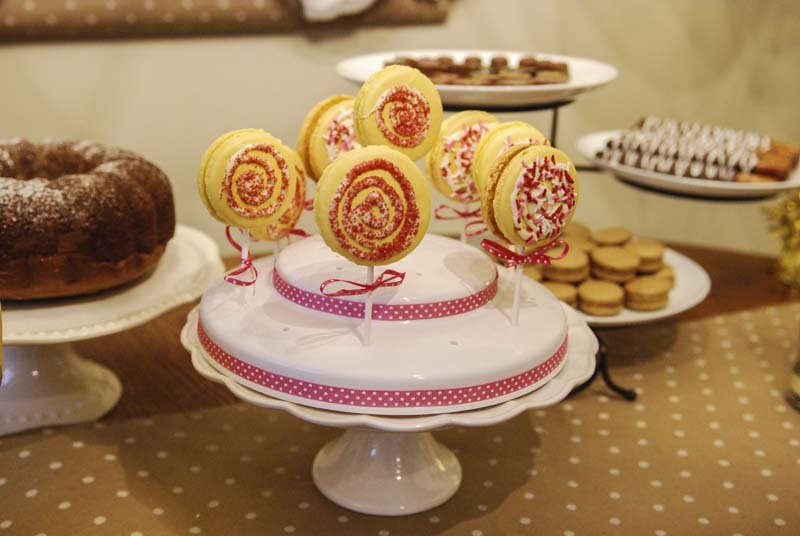 And, these macaroons on a stick! That's one good friend of a friend! My daughter made these "tigger tails" that were supposed to look like this, however, the directions didn't say that the food coloring had to be a powdered pigment. She used regular food coloring in the almond bark and says she had clay afterward. Learned something new. 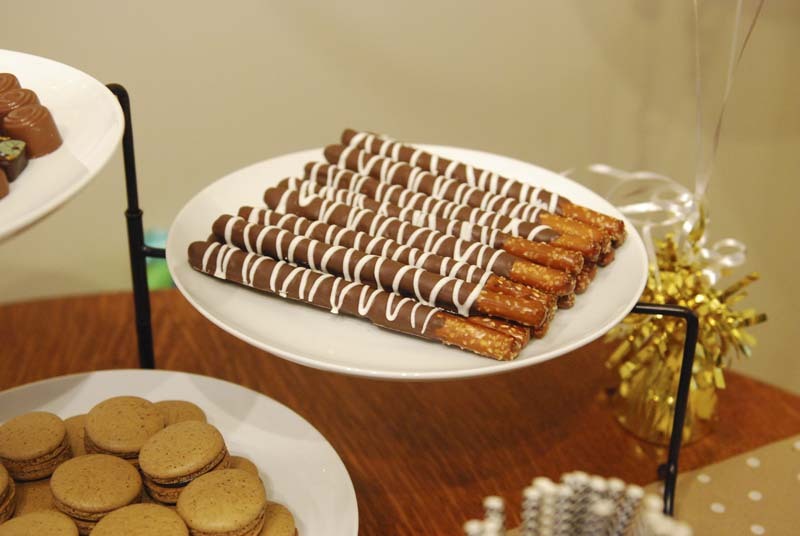 :) So, she used what she had left to make normal dipped pretzel rods. 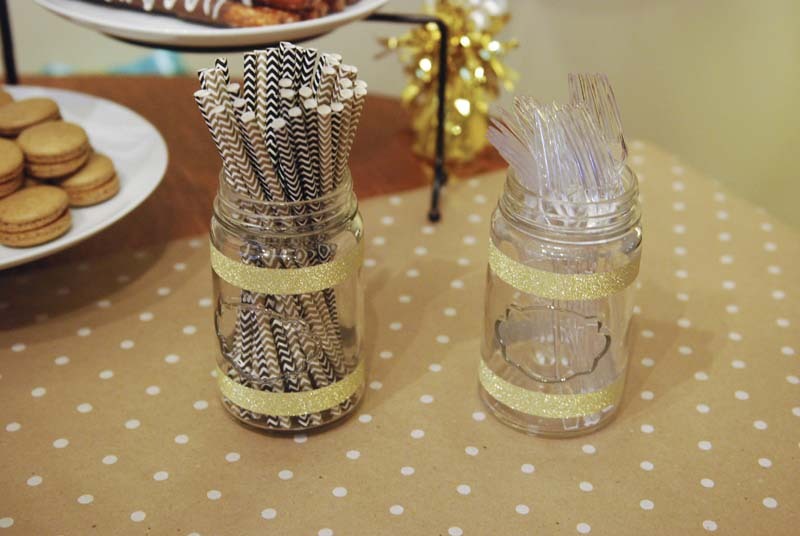 Washi tape decorates the jars to hold party supplies. The Winnie the Pooh movie (the original one) is so cute! It was my son's favorite. Does she look thoughtful? Or just like a toddler who will NOT look at the camera? 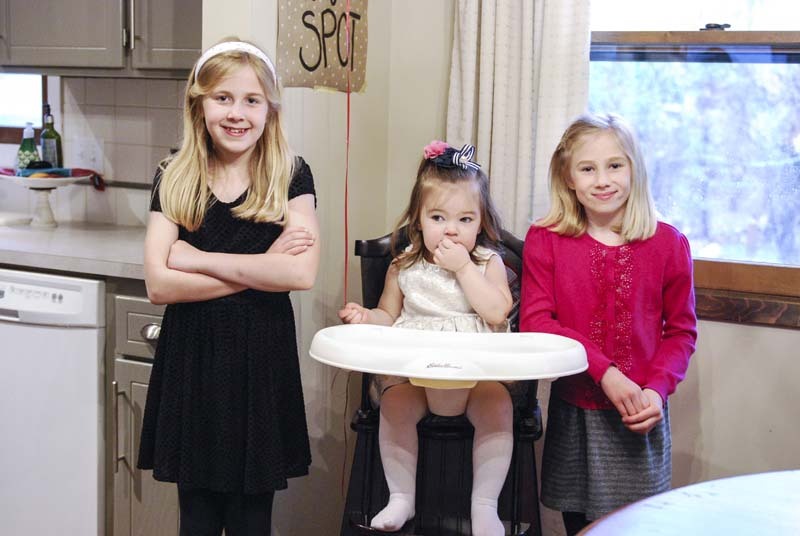 "Thinking" alongside her two youngest aunties. This is what we got when we tried to pose a picture. Sheesh! 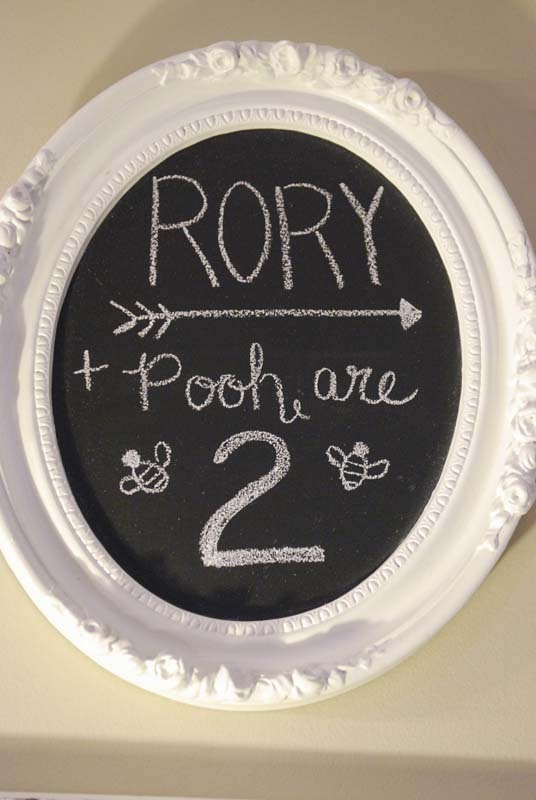 There's a reason chalk boards are all the rage...so easy to add to your event! 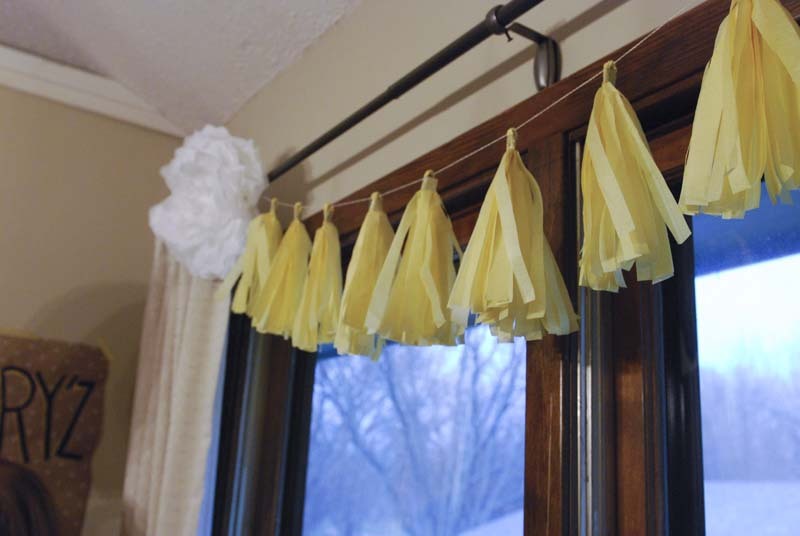 This tissue tassel garland was pretty easy to make so I was told. Here are the directions. 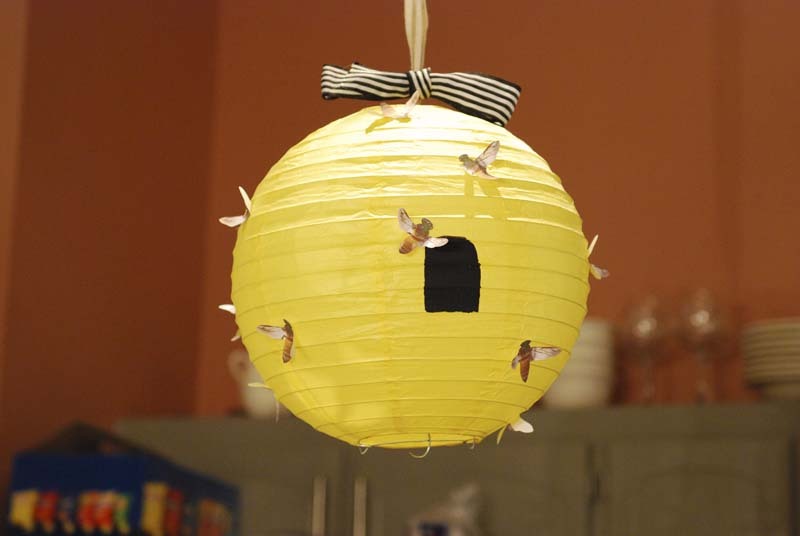 How cute is this bee hive? She painted a white paper lantern yellow, painted the black opening, printed out honey bees from the computer, cut them out, bent the wings out, and glued them on. I guess I'm going backwards...here is what we were greeted with at the front door. Let's go back to this back drop, I think it's so pretty and festive! A set up like this would be fun for photos at any event. The flowers are wonderful! I'm not sure where I'd put them at our house and I don't do much for decorating for parties, but I think I want to make some! The flowers are made from the common Vanity brand dinner napkins. The instructions are found here on the blog, Made. 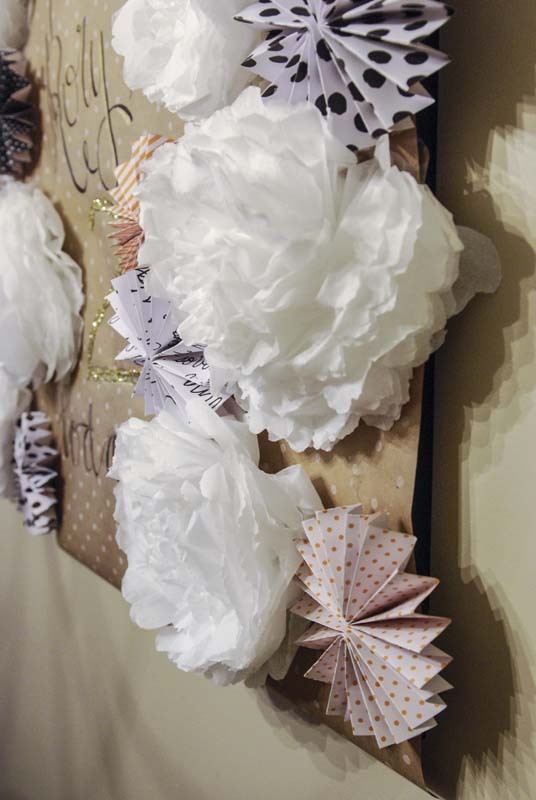 And, here is a link for the instructions for the paper rosettes. 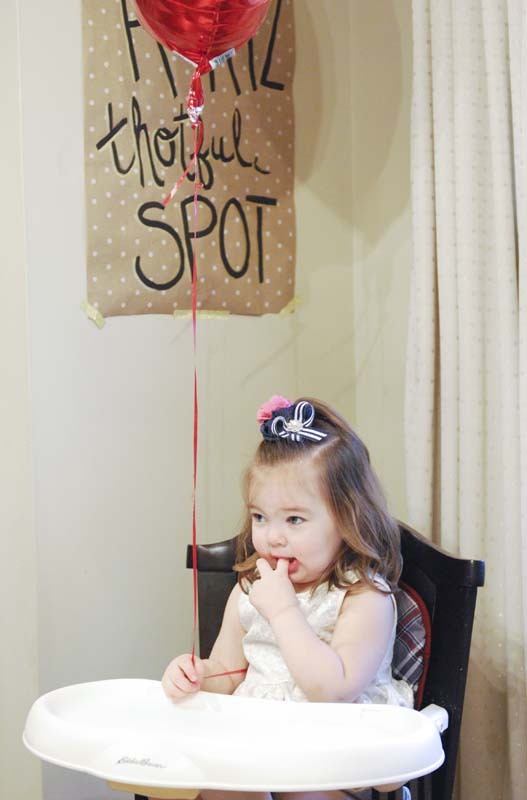 If anyone wants to reminisce about her first birthday, you could go back to this post. They are in the process of moving into a "new" house. New to them, because it's 90 years old. I've only seen pictures of the outside, and I'm anxious to see the inside. A "fixer upper" I believe. I know I'm going to love it! They grow up SO fast! Our almost 2-year-old won't look at the camera either. Her 3 year-old cousin isn't much better. Blurs of activity. What a lovely party your daughter created. Love the Pooh theme. The huney pot is so great. 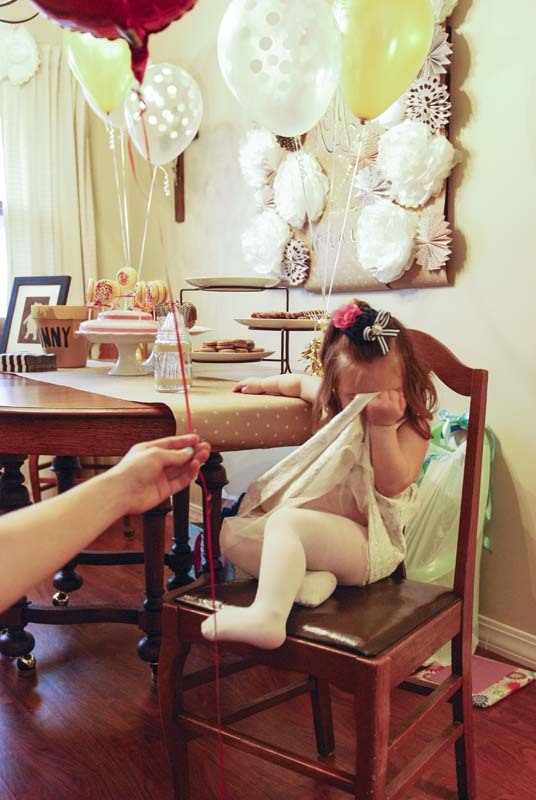 It is hard to believe that she is 2 already...time does fly. What beautiful decorations! Oh what a wonderful and delightful party it must have been. 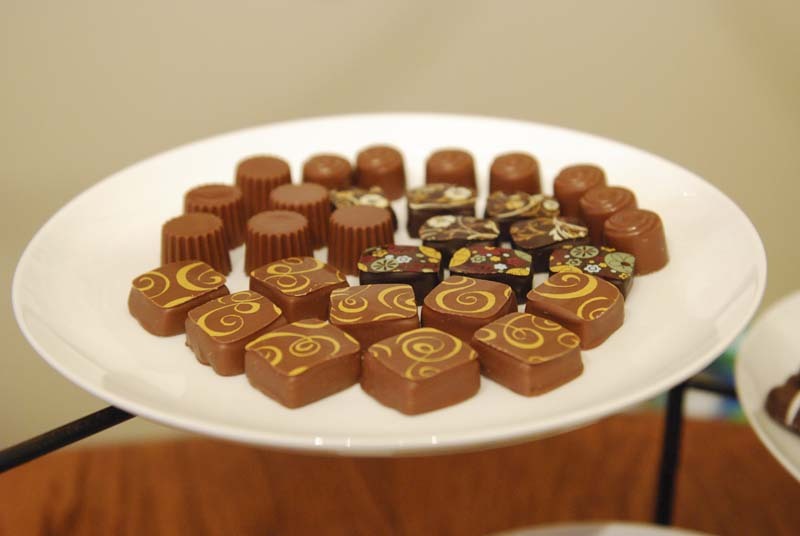 Looks like something out of a magazine and oh so delicious and special too!